We’re aiming to raise $5,000 by Thanksgiving in support of our 2019 season. As of last count we’re about 20 percent of the way to that goal. Please consider a contribution today to help us create our 31st season of Shakespeare in the Park. While GreenStage performances are always free, they aren’t without value or cost. 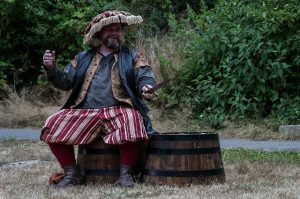 And while we receive support from Seattle Parks and Recreation and arts organizations in the state, a big part of our revenue comes from donors willing to chip in to make our performances accessible to all. 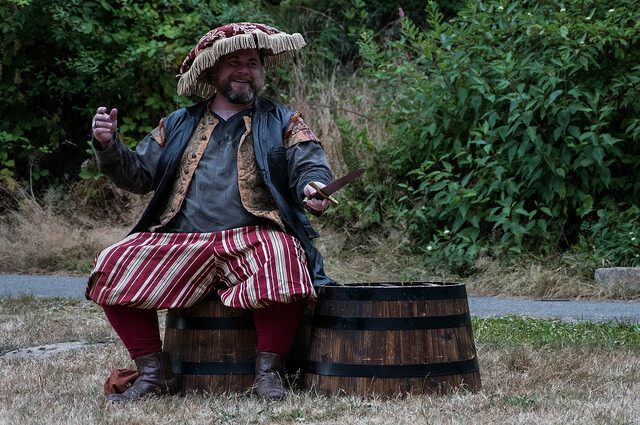 A big part of our off-season expenses is simply storing our sizable collection of props, costumes, sound equipment, and other gear that goes into staging a play outdoors. As the season approaches we’ll create new items for the new plays, if needed, and print up programs, buy the chocolate Shakespeare coins you love each summer, and a zillion other things. It all adds up! So please help us out and DONATE TODAY! We appreciate your support.